> Movie Posters>Film Posters>Japanese Posters>WOMAN IN BLACK advance Japanese '12 cool different image of Daniel Radcliffe! 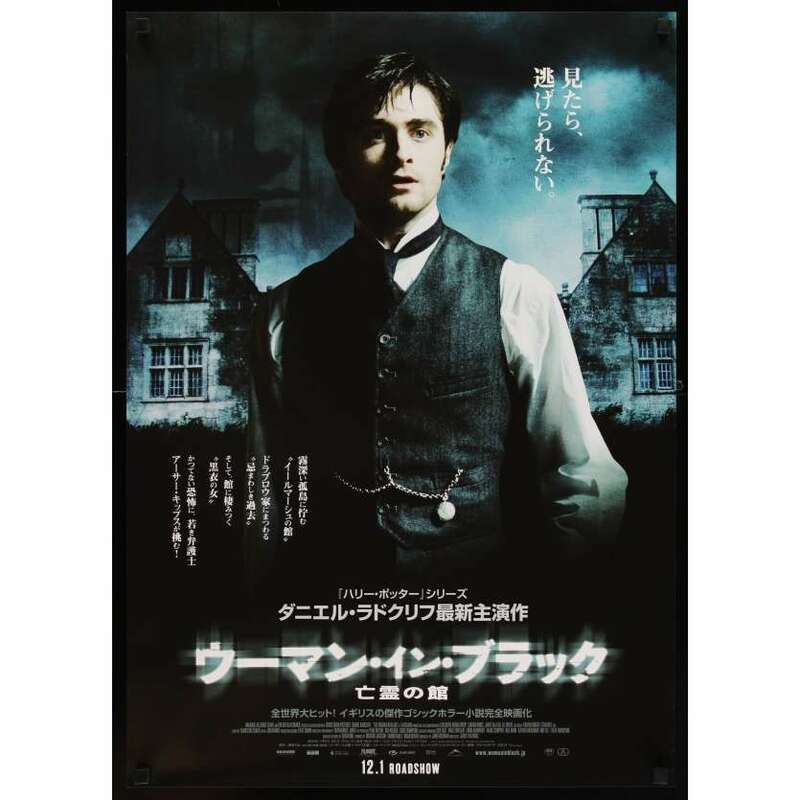 WOMAN IN BLACK advance Japanese '12 cool different image of Daniel Radcliffe! An Original Vintage Theater-Used Folded Japanese "B2" Movie Poster (measures 20" x 28 1/2" [51 x 72 cm]) Condition: Very Good to Excellent (C7) See our 10 GRADE SYSTEM Page for more information. The Woman in Black is a 2012 british-canadian-suedish horror film, directed by James Watkins. It is the first film starring famous actor Daniel Radcliffe (Harry Potter !) since the end of Harry Potter series. The film is produced by Hammer Films, the famous british production company. Overall Condition: Very good to Excellent !